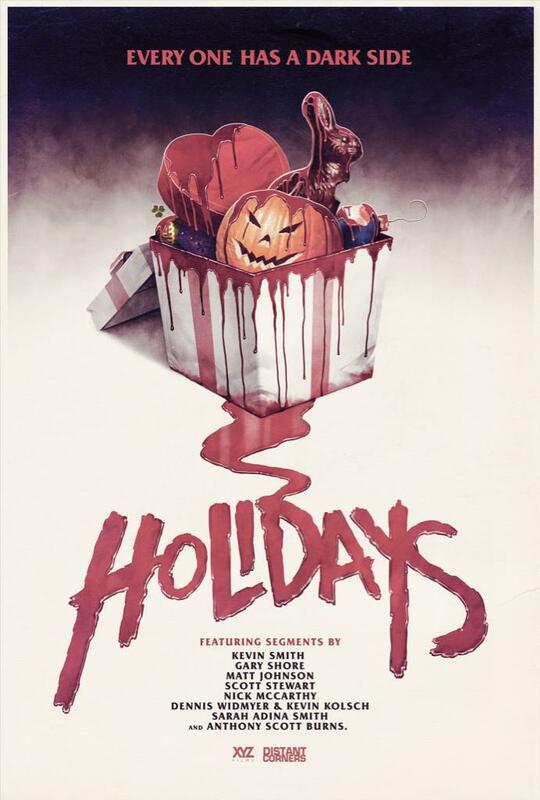 John’s Horror Corner: Holidays (2016), an excellent horror anthology with some shockingly good horror shorts. MY CALL: This horror anthology features monstrous pregnancy, creepy kids, zombie Jesus, genital mutilation, pagan cults, teen bullying gone wrong, the evil Easter bunny and deadly Dating site meet-ups among other maladies. Definitely one of the better horror anthologies of the last several years. MOVIES LIKE Holidays: Other holiday themed horror anthologies include Trick ‘r Treat (2007), Tales of Halloween (2015) and A Christmas Horror Story (2015). OTHER HORROR ANTHOLOGIES: Dead of Night (1945), Black Sabbath (1963), Tales from the Crypt (1972), The Vault of Horror (1973), The Uncanny (1977), Creepshow (1982), Twilight Zone: The Movie (1983), Stephen King’s Cat’s Eye (1985), Deadtime Stories (1986), Creepshow 2 (1987), Tales from the Darkside: The Movie (1990), Necronomicon: Book of the Dead (1993), Hellraiser: Bloodline (1996), Campfire Tales (1997), 3 Extremes (2004), Creepshow 3 (2006), Trick ‘r Treat (2007), Chillerama (2011), Little Deaths (2011), V/H/S (2012), The Theater Bizarre (2012), The ABCs of Death (2013), V/H/S 2 (2013), The Profane Exhibit (2013), The ABCs of Death 2 (2014), V/H/S Viral (2014), Southbound (2015), Tales of Halloween (2015) and A Christmas Horror Story (2015). If you’ve followed my reviews for a while now then you ought to know that I love horror anthologies. In some anthologies all of the short stories are directed by one man and written by another (e.g., Creepshow), but in this case each short story has a different writer and director (like V/H/S). Unlike many anthologies which feature a story teller or wraparound story (e.g., Creepshow, Tales from the Darkside: The Movie) or taking the approach of linked stories in which one component of the previous story links us to the next (e.g., Southbound, Trick ‘r Treat), this anthology simply delivers a series of horror shorts related only in that they are all holiday-themed. The shorts are presented in their calendar order and all have delightfully twisted endings. This anthology really was a pleasant surprise. Valentine’s Day introduces us to a quiet high school girl (Madeleine Coghlan) bullied by her diving team and teased about her crush on their coach. 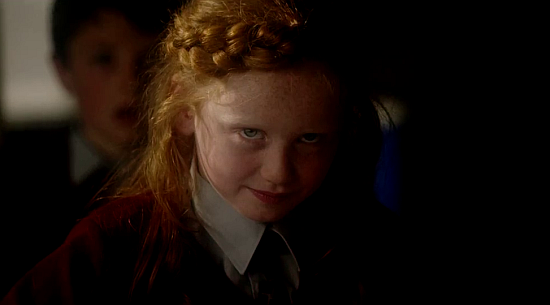 The tone is uneasingly awkward and when the young girls bully it makes us uncomfortable (in a good, effective way). 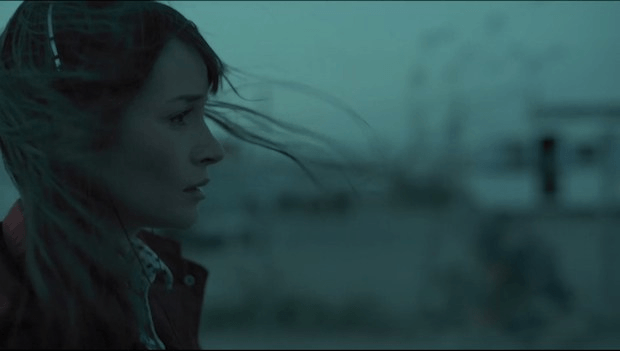 Written and directed by Dennis Widmyer and Kevin Kolsch (they did Starry Eyes), this breezy short takes a hard turn when the victim gets her brutal revenge. You’ll smile. St. Patrick’s Day is tremendously effective in its awkwardness as well, and follows suit in the creepy kids department. 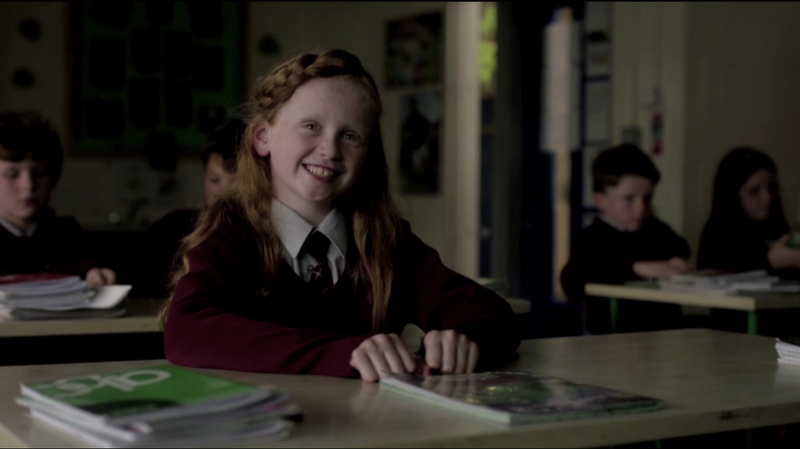 An Irish primary school teacher (Ruth Bradley; Grabbers) is haunted by a strange student and a stranger subsequent pregnancy. Only, pregnant with what…and how…and why? It’s funny in the darkest way. The birth scene is interesting followed by a most dream-like celebration. Written and directed by Gary Shore (Dracula Untold). Easter is just plain wrong in ways that made my darkest side squeal with glee. A young girl encounters a most sacrilegious zombie Jesus Easter Bunny that births baby chicks from its stigmata. Wow. Written and directed by Nicholas McCarthy (The Pact), this is something different. Mother’s Day. All sorts of weirdness ensues after a young woman who can’t stop getting pregnant joins a fertility ritual for women who can’t. I can’t say I understand the ending and this was just plain odd. Written and directed by Sarah Adina Smith, this short was among my least favorites. Father’s Day was easily the most compelling and tense of the shorts in this anthology. 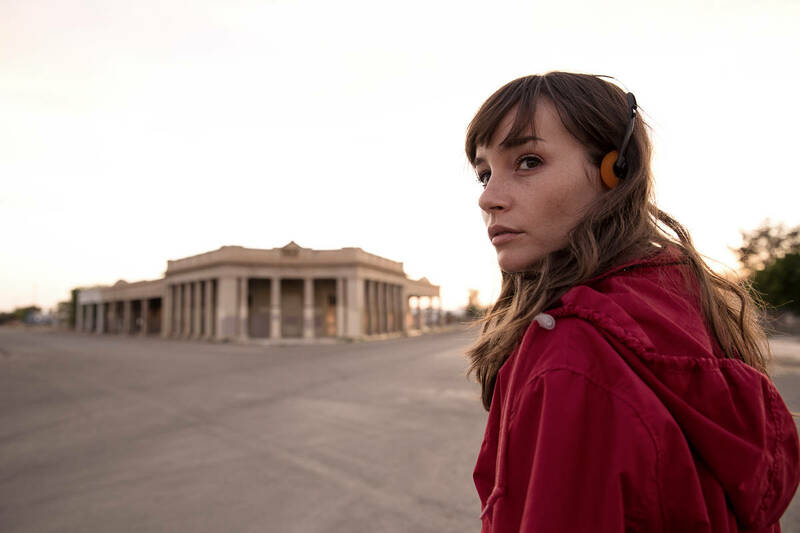 A young woman (Jocelin Donahue; The House of the Devil, Insidious Chapter 2) receives a tape recorder with a message from her father–who she thought had died 20+ years ago–with instructions on how to find him. Written and directed by Anthony Scott Burns, I desperately want this guy to do more horror!!! Maybe even stretch this into an entire movie. Halloween disappointingly had nothing to do with Halloween at all. It’s the only short in this anthology that fails to follow the theme of its holiday and, on top of that, it’s a crass shock film that fails at being shocking. It wasn’t well acted or well written and I must say I was surprised to see this garbage was written and directed by Kevin Smith (Tusk). 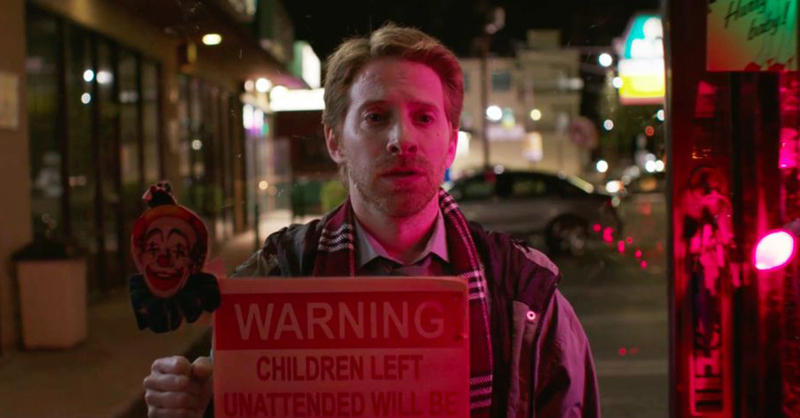 Christmas stars Seth Green (Buffy the Vampire Slayer) as a man tasked with getting the latest hot tech gift for his son. But how far will he go to get it, and what will he learn about himself when he does? Written and directed by Scott Stewart (Dark Skies, Priest, Legion), this one is cheeky. New Year’s Eve was definitely the most fun. A murderous man meets a quirky woman on a Dating site for a NYE date that does not go as he planned. Directed by Adam Egypt Mortimer (Some Kind of Hate), this short gives me hope that he will make more such movies. In general I was very pleased with this horror anthology. I liked it even more than Southbound (2015)! Probably the only disappointing shorts for me were Mother’s Day and Kevin Smith’s Halloween, which was the only short that didn’t connect well with its assigned holiday and it had probably the worst acting, writing and–sorry Kevin–directing. It just felt like amateur hour despite some mildly campy humor…and it didn’t match its surroundings well. For me the best short was Father’s Day–just harrowing. But basically all of these shorts (except, Mother’s Day and Halloween) were very satisfying. Few anthologies are of such quality. ← Short Film Buzz: Kickstarter Campaign for Scythe (2016) has just one day left and $7000 to go. If this is going to happen people NEED TO PLEDGE NOW! Smith’s just plain didn’t fit for me. It was liking having a 7 course French meal interrupted by a 4th course of Skittles. It simply didn’t belong. I’ve always liked a good horror anthology, this sounds great, will have to check it out! I love anthologies, too. This was my 20th horror anthology review, in fact. I like the House of the Devil call back. Those earphones! Hahaha. 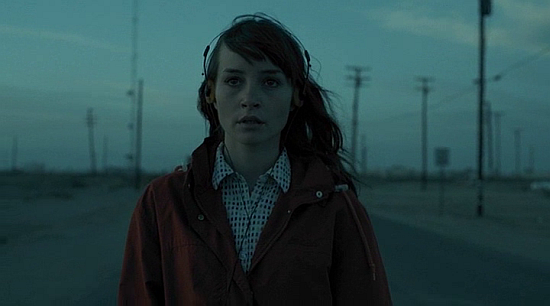 Can we include the Spaceball’s ear/hair phones?